Parisian P.I. Aimée Leduc is attacked and blinded during an investigation. Can she solve her case without her sight—and when her own life is in danger? Parisian private investigator Aimée Leduc is all dressed up in her new Chinese silk jacket, supposedly a designer’s “exclusive,” for dinner with a difficult client at an elegant restaurant in the Bastille district. She is chagrined to see that the woman seated at the very next table is wearing an identical jacket. When the woman leaves her cell phone on the table, Aimée follows her to return it and is attacked in the shadowy Passage Boule Blanche. When she regains consciousness, Aimée finds that she is blind. Nevertheless, she is told she is lucky; the woman she was following was found in the next passage, murdered. Aimée is determined to identify her attacker. Was he actually a serial killer targeting showy blondes, as the police insist? Was he really after the other woman? Or was Aimée his intended victim? 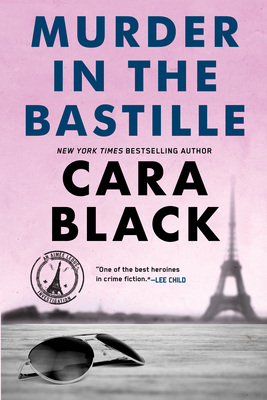 "Cara Black books are good companions, and Murder in the Bastille especially so. Fine characters, good suspense, but, best of all, they are transcendently, seductively, irresistibly French. If you can’t go, these will do fine. Or, better, go and bring them with you." "Charming . . . Aimée is one of those blithe spirits who can walk you through the city’s historical streets and byways with their eyes closed." "Paris is one of my favorite cities in all the world; Black’s books are a fine way to revisit it." "Black’s fourth is her best yet, with complex, appealing characters, a crisp, well-paced mystery, and a setting like no other." "[The] authentic touches will be as welcome as the fresh butter on our morning croissant."